UNITED NATIONS, April 10 (Xinhua) -- A senior Indonesian official urged Tuesday that humanitarian assistance to Venezuela "must be free from political objectives." 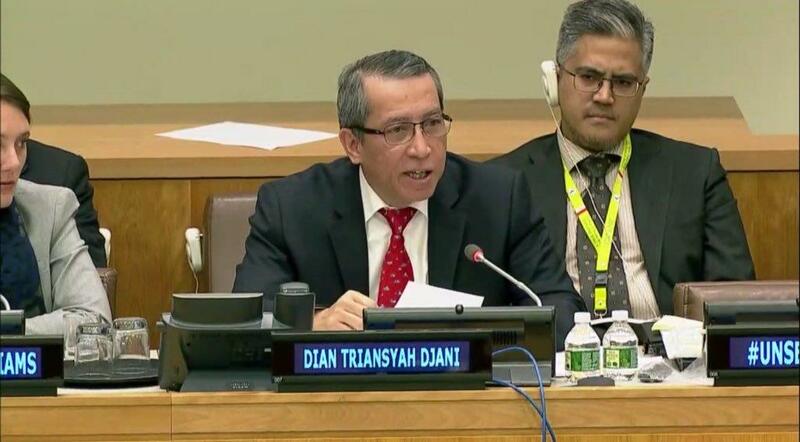 Speaking at the UN Security Council meeting on the humanitarian situation in Venezuela, Dian Triansyab Djani, Indonesia's permanent representative to the United Nations, said aid should be delivered in close coordination with the Venezuelan government and in full respect of its sovereignty and territorial integrity. Djani said that all parties concerned should channel their assistance through the UN system, and most importantly, such assistance should reach needy people in Venezuela. "We urge that any delivery of assistance by any parties be guided by the General Assembly resolution 46/182 and the principles of humanity, neutrality, impartiality and independence," he said. Indonesia reiterates that dialogue is the key that will enable best conditions for the smooth flow of humanitarian aid, he said.